In Thessaloniki, the ‘11th International Culinary Competition of Southern Europe’ was held from March 1st to March 4th as part of the International Tourism Fair, HELEXPO. This is a famous festival which is a part of the calendar of the World Association of Chefs Societies and is organized by the Chefs Association of Northern Greece and the World Association of Chefs Societies (WACS). Our team from the Department of Geography, Tourism and Hotel Management, the Faculty of Sciences in Novi Sad, achieved outstanding results – three medals and one certificate of merit. Danica Rinčić won a silver medal in the pasta category, Aleksandra Dimitrijevic won a bronze medal in the risotto category, Miloš Kuzmanović won a bronze medal in the risotto category, and Tatjana Bodvoji won a junior merit award in the vegetarian dish category. Maja Banjac, Teaching Assistant at the Chair of Gastronomy, won a bronze medal in the senior category – poultry dishes. Maja was the only female contestant in the category, and competed with two national team members and four professional chefs from prestigious catering establishments from Ukraine, Lithuania, Taiwan and Greece. One of our team’s objectives at the competition was to promote authentic food from Vojvodina. The dishes for the competition were prepared in a modern way from local food products: mangulica (Mangalitza) bacon, wine from Fruska Gora, fungi from Fruska Gora, carrots from Begec, cheese from Sombor, wheat, proso millet. Our gastronomy team’s objective to promote local products at this prestigious competition was supported by the Foundation 2021, Novi Sad – European Capital of Culture. Students were mentored by: Goran Radivojevic, Skills Teacher, Dr Bojana Kalenjuk, Assistant Professor and Maja Banjac, Teaching Assistant. There were over 2,000 contestants from 29 countries at the competition. The judges were renowned, well-known in the world, with the highest judging licences given by the World Association of Chefs Societies (WACS): Roberto Beltramini (Luxembourg), Tony Chang (Taiwan), Victor Orn Andresson (Ireland), Eric Wong (Singapore), Thomas Kuster (Switzerland), Svetlana Riskova (Latvia), Joachim Mueller (Sweden), Nikolas Konstantinou (Cyprus), Nikolaj Crump (Denmark), Georg Wallig (Germany), Marco P. Bruschweiler (Switzerland, Thailand) and Argiro Barbarigou (Greece). On behalf of the World Association of Chefs Societies (WACS), in addition to the mentioned distinguished members, there was the President of WACS Thomas Gugler. A project with an interesting acronym – G-BiKE, COST Action Genomic Blodiversity Knowledge for Resilient, is a newly funded project of the European Union with the aim to connect scientists, managers and users of natural wealth across Europe in order to emphasize the importance of applying scientific knowledge of genetics and genomics in the conservation of plant and animal life. Although today genetic information can be obtained for most of the organisms, standardisation of the protocols for detecting and monitoring species’ genetic diversity and their adaptive potential is still missing. The main idea of the G-BiKE project is to establish the usage of genomic knowledge as a standard tool in the environmental protection programmes, in order to ensure the persistence of populations and species. 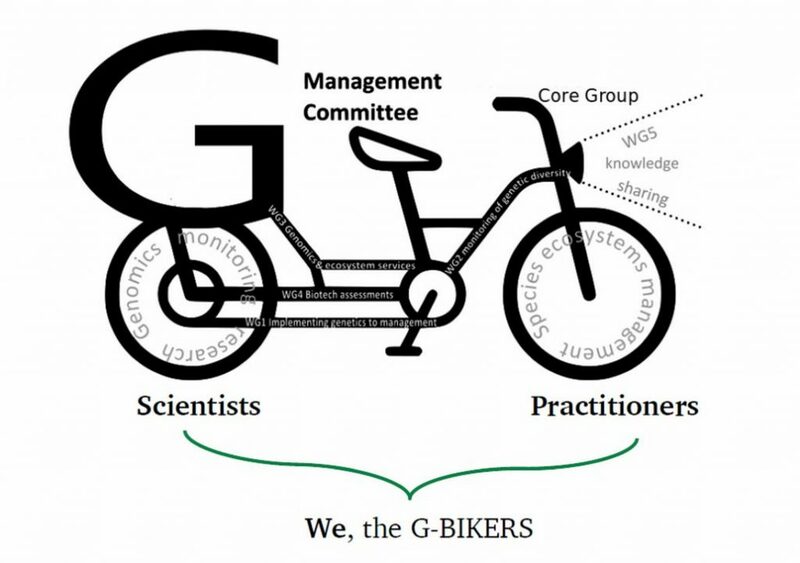 As the acronym of the project alludes to a bicycle, the main idea of the project is to connect two wheels, one symbolising scientists and the other all the practitioners directly involved in the application of ecosystem protection programmes. The project started with a meeting in Brussels attended by 45 scientists from 27 European countries. Serbia was represented by three scientists: Prof Dr Mihajla Djan, full professor at the Faculty of Sciences in Novi Sad, Dr Nevena Velickovic, assistant professor at the Faculty of Sciences in Novi Sad and Dr Srdjan Stojnic, research associate at the Institute of Lowland Forestry and the Environment in Novi Sad. Scientific programme of the Action is divided in five thematic units which are organized as working groups. The team from Serbia will participate in the working group focusing on the implementation of genetic markers as indicators for monitoring the state of natural populations. The work of this group will result in a unique database including the species of the European continent which are crucial for the development of genetic and genomic markers and the list of areas of special importance for the implementation of environmental protection measures (the areas which are prone to fast changes or which represent cross-border areas of species distribution). 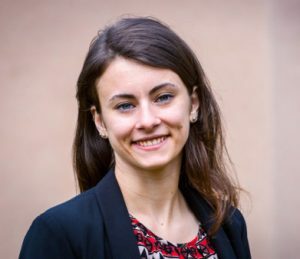 Dr Cristiano Vernesi from Italy was appointed as the Action Chair, and during the first meeting other leaders were appointed, including a representative from Serbia – dr Nevena Velickovic who was appointed as the Science Communication Manager. The project was obtained within the COST programme. COST is an intergovernmental framework for European cooperation in the domain of science and technology which opens space for the projects, which have already been financed at the national level and involve at least five institutions from the programme member countries, to be coordinated at the European level. COST programme financially supports the collaboration activities such as organising conferences, seminars, working group meetings, meetings of the executive boards of individual projects within the programme, participation in summer schools, as well as travel expenses for short-term scientific visits. Organizations leverage data pools to drive value, while it is variety, not volume or velocity, which drives big-data investments. The convergence of Internet of Things (IoT), cloud, and Big Data, create new opportunities for Big Data analytics. Human and machine created data are being aggregated, transforming our economy and society. To face these challenges, companies call upon expert analysts and consultants to assist them. However, a different paradigm – Big Data as a self-service – will be transformative for organizations; it will empower their employees with the right knowledge, and give the true decision-makers the insights they need to make the right decisions. It will shift the power balance within an organization, increase efficiency, reduce costs, improve employee empowerment, and increase profitability. The H2020 European Union-funded I-BiDaaS project – Industrial-Driven Big Data as a Self-Service Solution (website: http://ibidaas.eu/; twitter https://twitter.com/Ibidaas) aims to develop a Big Data as a self-service solution that will empower users to easily utilize and interact with big data technologies. I-BiDaaS will achieve this by designing, building, and demonstrating, a unified solution that: significantly increases the speed of data analysis while coping with the rate of data asset growth, and facilitates cross-domain data-flow towards a thriving data-driven EU economy. The project’s solution will be tangibly validated by three real-world, industry-lead experiments, in the domains of banking, manufacturing, and telecommunications. Faculty of Sciences, University of Novi Sad, Serbia, an I-BiDaaS’ project partner, is organizing a one-day workshop on Big Data analytics on January 22, 2019. The aim of the event is to gather a local/regional community of leading industry experts on Big Data analytics and Data science, as well as a local community of industries that are interested in leveraging Big Data analytics and self-service analytics in their practices, processes and services. The participants will have an opportunity to gather and exchange ideas on recent developments and activities in the context of Data science, Big Data, and self-service analytics. The event will feature a presentation of the I-BiDaaS project, its core technologies, and the corresponding minimum viable product, followed by brainstorming and discussion sessions. acquire feedback from the industry experts about the technical approach and solutions that can contribute to shaping future steps within the project.